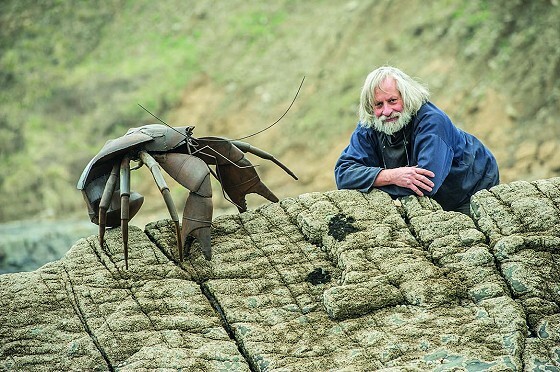 Discover the artists in Saunton – A Coastal Curation. The unique coastline that includes Saunton and its constellation of nearby seaside stars has long been an inspiration to artists – both local and from afar. 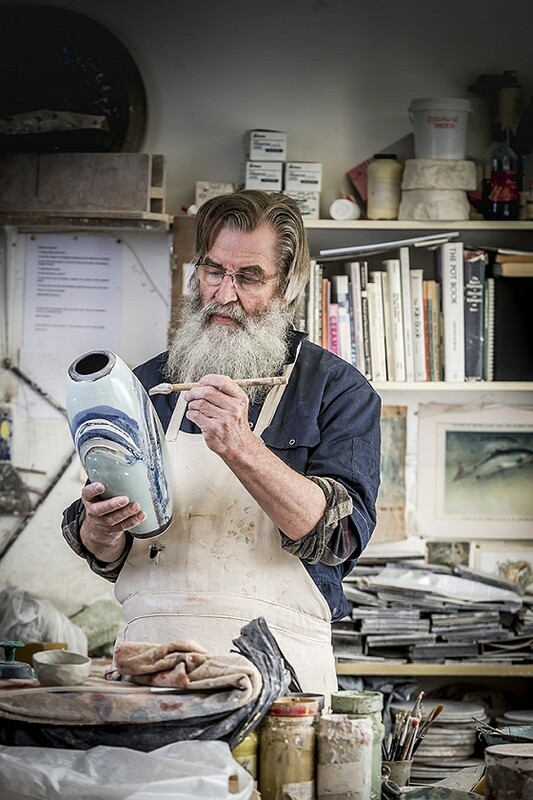 Sandy’s vivacious and uplifting ceramics can be found in public collections both nationally and internationally, including the Victoria and Albert Museum in London. 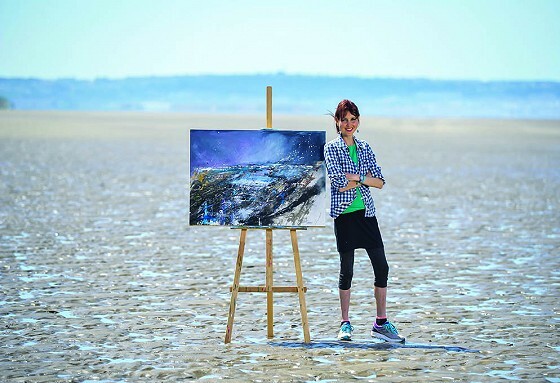 She is inspired by the incredible quality of light experienced along the North Devon coast. ‘The influence of the sea is not conscious, but there is no doubt that being here every day and looking at the water and sky from my living room has infiltrated my brain and appears in the zinging colours,’ says Sandy. Cast your mind back to 1987 when 800 wrought iron hospital beds were hauled onto Saunton Sands to create Pink Floyd’s iconic album cover for A Momentary Lapse of Reason. No CGI used back then. The picture won photographer Robert Dowling a gold award at the Association of Photographers Awards. The glorious Giant Land Crab that features in our beautiful new artbook was created from recycled steel by artist Ned Morgan. He fashions quirky animal sculptures out of found and recycled wood and metal from his Curious Creatures Gallery in Bideford Pannier Market. Drawn by the magnitude and diversity of North Devon’s coast, Ruth Bateman’s expressive landscapes reveal a bold, dramatic and heartfelt painting style. Explore more artwork inspired by the North Devon coast in our new book, Saunton – A Coastal Curation. It makes a wonderful present for everyone who loves Saunton. Buy your copy now (£25 + £3.50 p&p) from the hotel by calling 01271 890212.